A few weeks ago I stumbled across a rather interesting piece of information that it has taken me a few weeks to formulate properly into a post, the sale of the Horrockses brand name. 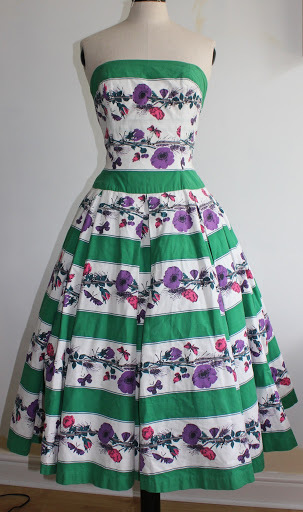 As regular readers of my blog will be aware Horrockses garments are one of my biggest passions, but I mostly focus on collecting those items that were produced before 1964. Understandably though, with the resurgence in popularity of vintage items by the brand I was intrigued by the sale of the brand name, and the bigger consequences there could be for both the collectability of Horrockses dresses, and also how a parent brand may use the name. Original Horrockses prints have since 2011 been used for a limited collection of bed linen based on a number of original prints used for dresses, two of which I own (and love!). Personally I think this is a great way of re-using the original prints, without stepping on dangerous territory, but I am wary about the latest sale of the brand. My fear stems from how a brand may use the Horrockses name. 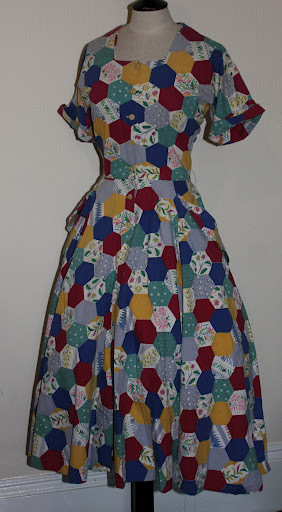 Creating a new range of dresses based on Horrockses originals, in my opinion, would devalue vintage dresses and also cannot live up to the originals. 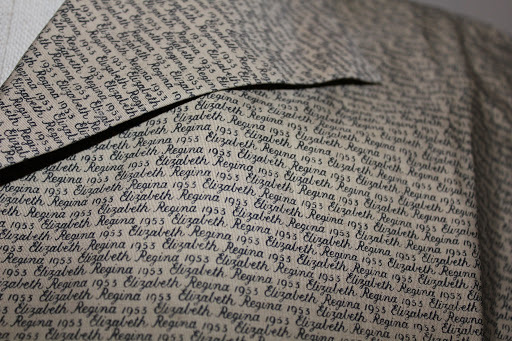 This is partially due to manufacturing standards today and the fact that a key part of what made Horrockses such a distinctive brand was their use of fabric, and superior quality and advanced finishing techniques used on the fabric. Subject to modern manufacturing new Horrockses would loose their meaning. This is not simply personal elitism about the re-creation of the items, and not wanting others to have the same, I just feel that the “carbon-copies” which are likely to be produced will de-value the reputation of the brand as a whole. Revivng brand names has a chequered history. Chelsea girl for River Island is an example of how this can be done relatively effectively I believe. Whilst the Ossie Clark London brand is an example of a heinous crime. Others, such as the numerous relaunches of Biba have had a mixed reception. Again though I step back to one of my biggest bugbears, why can’t we design anything new? Referencing the past is fair enough, but the way in which it is done is often disrespectful of past designs/ designers, and also what the companies stood for. I think producing homewares based on the original prints and styles is much more acceptable- I really hope that whoever buys the brand goes down this route, and doesn’t try to re-create the dresses. Information on the internet suggests that House of Fraser are interested in acquiring the brand.I wonder if they are considering attempting a similar revival to that of the Biba brand from a few years ago, or whether they would be considering something totally different for the brand. I am also intrigued as to how the sale of the brand name relates to the prints themselves. Does this sale equate to a sale of the prints too? Would they have free reign to use any Horrockses prints they want? 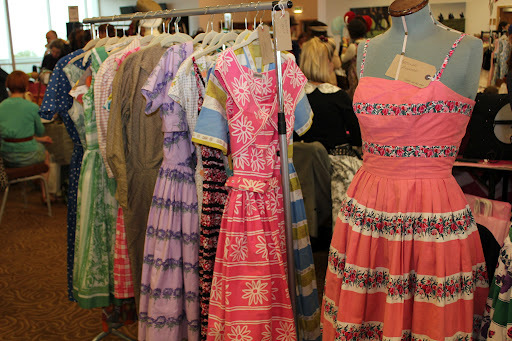 Or would the new buyer be restricted to copying original vintage items they can source? Horrockses employed numerous freelance print designers, so this in itself could be problemous. This is undeniably an area that I don’t fully understand, but needless to say I am intrigued by. Metis parters who are dealing with the sale of the IP have called for bids of £50,000 or more (seems cheap to me!). Bidding for the brand closes on 2nd May…so lets see what happens.